Well a heavy option would be to use a mountain bike system like the cannondale scalpel to flex away the pave but treks new Domane looks sweet as a honey bees glory …. Back when we were speculating on the sneak peek shots ofTrek’s new Domane underneath Fabian Cancellara at the Strade Bianche, we conjectured (is that a word?) that the seatpost and the main frame were separate. And they are. Spartacus himself has been heavily involved with the design process, and the bike “specifically addresses the challenges of rough road conditions found throughout the spring classics courses with a collection of key innovations unlike any available before today”, according to Trek. The Domane (That’s Do-MAH-nee, apparently, which is latin for “King’s crown” as well as being an anagram of Madone) features a technology which Trek have christened IsoSpeed. It’s a “functional decoupler that separates the ride-tuned seat mast from the top tube”. So effectively the the seat tube isn’t attached to the top tube and seatstays like you’d normally expect, but instead is held in place by a pivot and some kind of elastomer coupling that acts as a buffer between the seat mast and the top tube. Being an elastomer it will act as a damper which also perhaps opens the possibility of further tuning the ride… not that we’d fancy trying to take it out. IsoSpeed means lots more compliance, say Trek. Twice the vertical compliance of the nearest competition is their claim. Not only that but they claim that it’s even stiffer laterally than the Madone. A bike that’s got a bit more give should be a boon over long rides and difficult surfaces, with the IsoSpeed coupling allowing more fore-aft movement as well as in the vertical plane. Cancellara’s certainly happy. “When you work with Trek and the engineers it’s a combination that lets you examine every detail and the details that it takes to win the races that this bike is made for are bigger than any other,” he gushed. “The end result of all that work is the Domane and after competing on this bike, winning on this bike, it’s going to be hard to get me on anything else,” he said, although that didn’t stop him swapping back to the Madone for the smooth tarmac of Milan-San Remo. 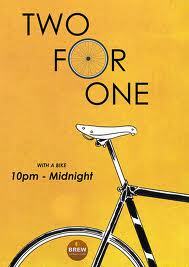 In the end it’s a comfort bike. A performance-led one. Trek have always maintained that they didn’t need a comfort bike because the Madone was comfy enough and available in different geometries, but they’ve inevitably lost out in sales against the likes of the Specialized Roubaix, Cannondale Synapse and Giant Defy Advanced, and more and more manufacturers are producing performance-comfort bikes now;BMC’s launch of the cobble-friendly GF01 is next week. Like the Madone 6 Series the Domane boasts an OCLV carbon frame with a super-wide BB90 bottom bracket and internal cable routing. There’s a new Bontrager RXL fork to go with the frame, too. Trek call the cable routing ‘race-optimised’ and interestingly the cables on the Domane all enter the headtube on the same side (something we noticed when we spotted the bike at the Strade Bianche). We’ll be looking to see if that is an innovation that makes it’s way on to the next generation of the Madone – surely due for launch any time now. The Domane’s geometry is different from that of the Madone. The head tube is just a little taller than you’ll get on an H2 fit Madone – Trek do three different fits, the H1 being the most aggressive, the H3 being the most relaxed. The Domane’s head tube is 17.5cm compared to 17cm on an H2 fit Madone. The top tube is slightly shorter too. You get a slacker head tube angle, an increased fork offset, longer chainstays, a longer wheelbase and more of a bottom bracket drop on the Domane too, which should translate into a more planted, stable ride which is especially useful on rough roads where hitting something hard and jagged on a standard road bike can knock you completely off-line. Cancellara doesn’t ride with electronic gears; if he did you’d have seen the battery mounted at the bottom of the down tube, basically in the middle of the bottom bracket. For a bike that’s designed to be ridden over the rough stuff that seems like an odd placing to us, being a bit more vulnerable to debris kicking up from the front wheel than the current favourite position of underneath the chainstay. Other pave-beating touches include super skinny seatstays and an integrated chain catcher; some of the RadioShack Nissan Trek boys would undoubtedly find that useful on the Madone too. Hopefully then the new integrated chain catcher on SRAM Red is detachable – how many chain catchers does a boy really need? Actually, we’re guessing that the one on the Damone is detatchable for those who can change gear without dropping the chain. The new Domane is available right now in two versions (there’s three on the UCI list), and in another break from the usual the Custom version is cheaper than the Team Edition. quite a bit cheaper as it turns out. You can have a Custom Domane 6 for a mere £3,700 (although you can pay more if you want) while the Domane 6 Series Team Edition can be yours for £8,290. There must be some Unobtanium knocking about in that one. Well, do you want to beat the cobbles or not? That’s it for now. But if that isn’t enough, we’ve got a man in the area: VecchioJo is currently hot-footing his way across the low countries to ride the Flanders sportive, and he’s even now diverting to Kortijk (picture one of those Union Jack arrows from the start of Dad’s Army) where Trek are currently showcasing the new machine. He should be able to swing a leg over it too, so stay tuned for a first ride soon… if he doesn’t get lost. 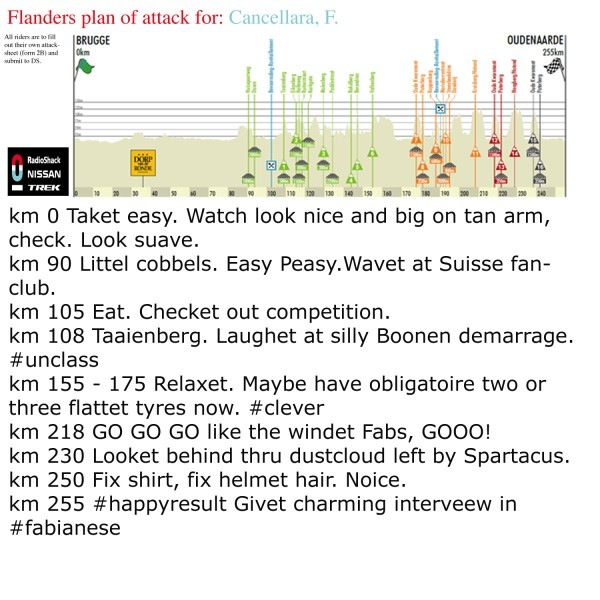 Fabian Cancellara’s plan of action for Flanders – love this joke circulating on twitter…. Took a photo of him and car. 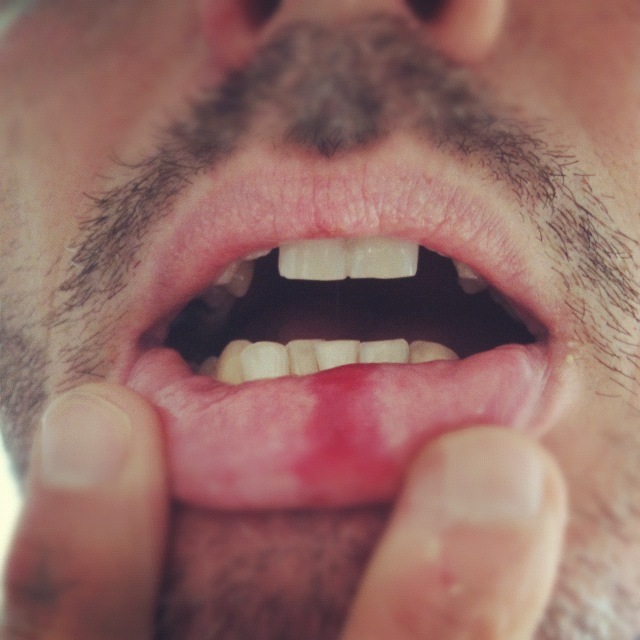 Just gave my statement to officers and hopefully mr angry will get charged with assault …. Difficult with no witnesses but hopefully he has priors so they will take it more seriously. 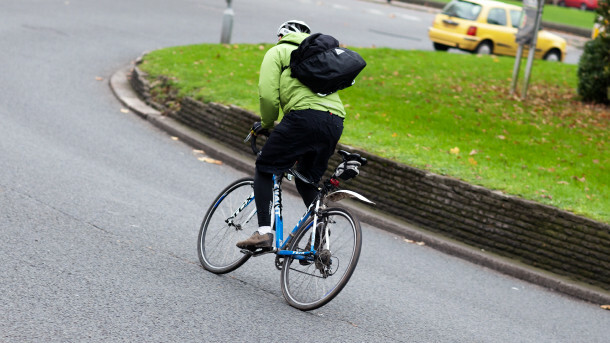 Negotiating roundabouts by bike is straightforward if you ride assertively and stay away from the edge. Roundabouts can be quite intimidating on a bike. It doesn’t help that some drivers use them badly, barging into the traffic flow and failing to use their indicators correctly. Nor does it help that the advice on roundabouts for cyclists in the Highway Code is flat out dangerous. Rule 62 says ‘you may feel safer… keeping to the left on the roundabout’. You might, and some cycle lanes even guide you into that position. But you are not safer. The danger zones for cyclists are the areas immediately in front of the roads joining the roundabout. Drivers entering the roundabout may fail to see you on the roundabout and then pull out in front or on top of you. Or drivers exiting the roundabout may turn left in front of you. Both of these situations are more likely if you’re at the edge of the roundabout – because that is not where drivers will be looking. They’ll be looking for cars in the centre of the traffic lane. That’s where you need to be: take your lane! Take your lane. You want to be roughly in the centre of the traffic lane that goes in the direction you want to go in. When you’re still some distance from the roundabout – say, 20 metres – look, if necessary signal, and take up position. Even when there’s only one traffic lane entering the roundabout, this is important. It will prevent drivers racing you to the roundabout and cutting in ahead of you, and it will prevent left-turning drivers who arrive at the roundabout when you do from cutting across you. As you get closer to the roundabout, ensure you’re in a gear that you can accelerate in. As long as you’re not going straight on, signal left or right for the benefit of drivers behind you. Give way to traffic on the roundabout, joining when it’s safe to do so. Take your lane. This dissuades drivers from cutting across you. Signal left as you approach your exit. Exit the roundabout. Give way to traffic on the roundabout, joining when it’s safe to do so. Take your lane. On a multi-lane roundabout, take the left-most lane that goes straight on; it will make it easier for you to exit the roundabout and should dissuade drivers from ‘undertaking’ you. Signal left as you pass the exit before the one you’re taking. Exit the roundabout. Give way to traffic on the roundabout, joining when it’s safe to do so. On a two-lane roundabout, you’ll usually want to join the lane closest to the centre. On roundabouts with more lanes, pick the left-most lane that’ll take you where you want to go, which will probably be the left-most lane but one; the latter is where left-turning and straight-on traffic will be. Once you’ve reached your lane, take it. Signal left as you pass the exit ahead of yours, check for traffic over your left shoulder, and peel off left, making no sudden changes of direction. If you drive, you’ll note that these instructions are not really any different from how you’d negotiate a roundabout by car. Bicycles are traffic just like cars are. Act like it and you’ll be treated like it. Take your lane. In particular, give room to give way markings when you’re on the roundabout. Staying away from the edge makes you more visible and it buys you time if drivers see you late. Make your intentions obvious: you’re telling drivers what you’re about to do, not meekly asking permission. If drivers know what you’re doing, they can react accordingly. If you’re not comfortable negotiating a particular roundabout, whether it’s a two-lane one or a multi-lane gyratory, don’t. Get off your bike before you reach the roundabout and negotiate it as a pedestrian instead. It won’t add that much time to your commute. Be very careful at roundabouts after recent rain, when spilled diesel that was dry will become slick, or in icy conditions. You will be turning and you may need to brake while cornering. It’s all too easy to slide off. For further advice on this and other cycling-in-traffic skills, get hold of Cyclecraft. See www.cyclecraft.co.uk. Can I sneak in a ride? Couple of work calls to make …. Could this be the GAP I SEEK?? 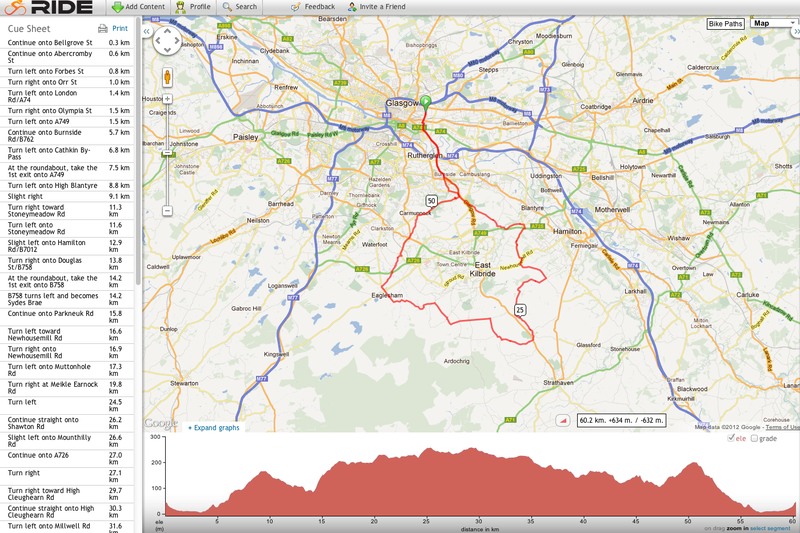 Must order a bar mount for the bike …..